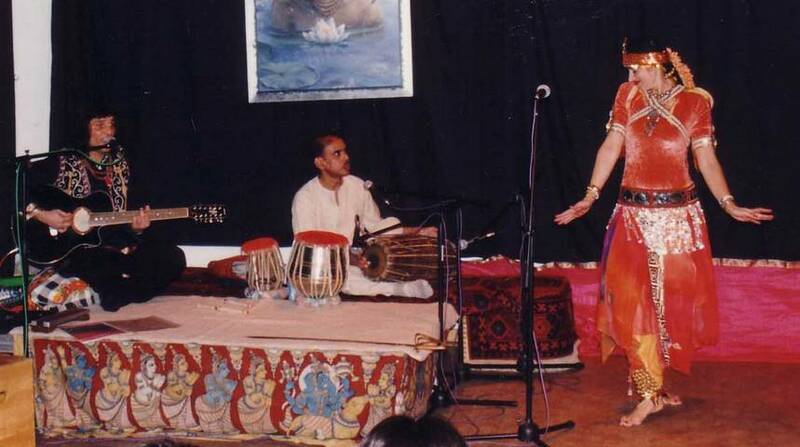 Dance, music and painting are the three fundamental pillars of my life. 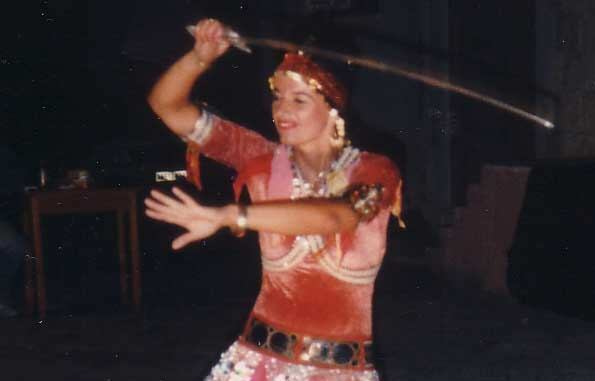 My dance roots lie in Balkan folklore. Today my main focus is Greek and Oriental dance, both of which I also privately teach. The pictures displayed can be purchased. Also, after prior consultation, orders may be taken. Contact with me for more details. Barbara Daling was born in 08/11/1953 in Dortmund. In 1976 she graduated from the professional school of graphic design at Muenster. Afterwards she worked as a freelance designer, book illustrator and painter. She is well known for her surrealistic wallpaintings. 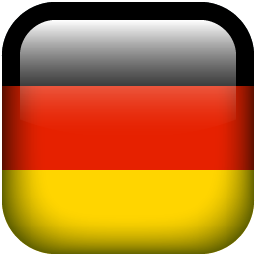 Barbara exhibits in Germany and abroad in major exhibitions. 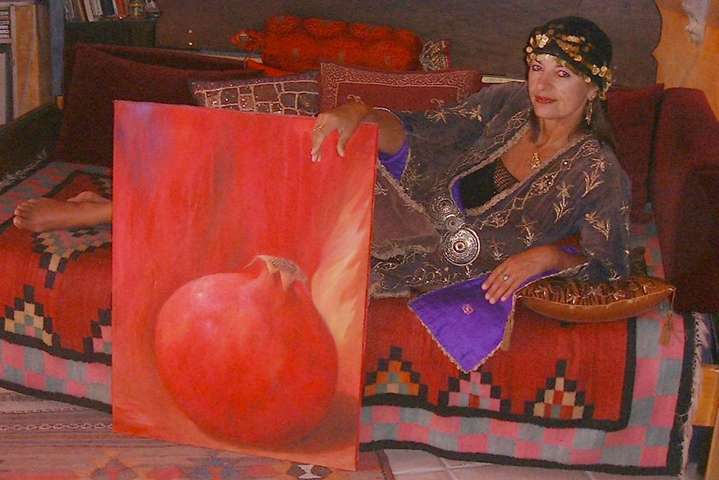 She derives many of her themes from the Orient and from Crete. 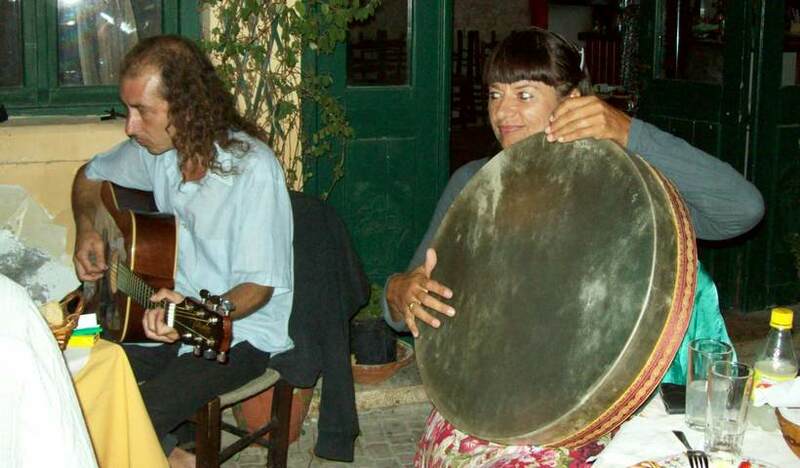 She lives in Crete (Greece) and Germany and is an experienced masseur in singing bowls and in Reiki. 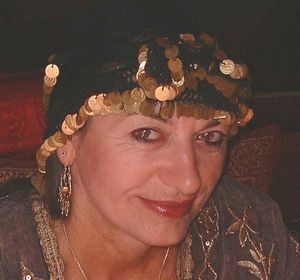 Her main hobbies are Greek dancing and bally dancing, in which she gives one to one tuition. Barbara Daling's work is inspired by symbols; she uses the basic symbols of the Minoan civilization as well as from even older cultures in her highly inspirational work. Her paintings transmit emotion and spirituality, her iconic language means to represent a facet of human emotion as she confronts us with painted mythological creatures and scenes from the subconscious mind. The conciseness of her work leaves us free to concentrate on the very essence of her art. Barbara's energy speaks through her work, allowing the viewer a taste of the artist's personal sacred experience. She expresses herself with a gamma of beautiful colours in a simple but technically perfect way, while presenting us with artwork of a very creative and original composition. Her art is very attractive and personally I feel privileged to know the artist and to own some of her work. Ellen Weijers-Gigourtakis (Graphic artist, photographer).